We have witnessed tremendous growth in the Nigerian Fashion, Beauty and Lifestyle industry with local practitioners gaining visibility across various international platforms. 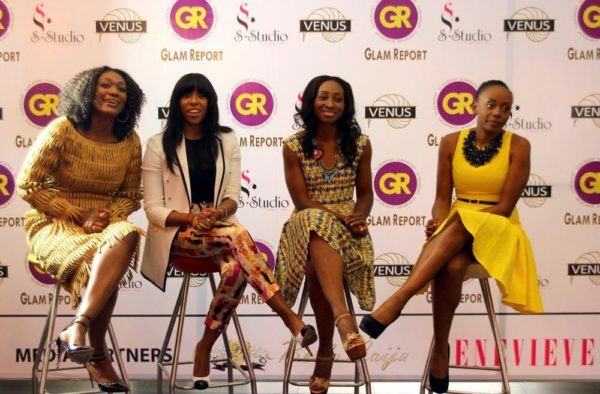 In recognition of this achievement, Glam Networks at a press conference held yesterday at SIP Restau Lounge, Lagos announced the launch of Glam Report TV – a 30 minute chic and fast-paced fashion, beauty and lifestyle television magazine show. 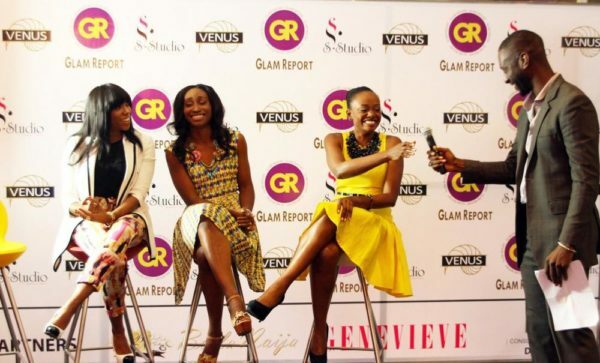 BN: What was the inspiration behind Glam Report TV? 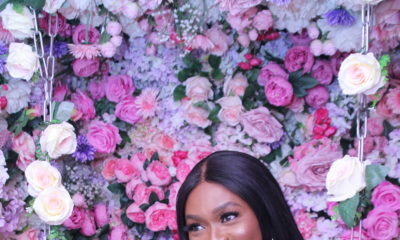 BB: I’ve been in the Nigerian fashion industry for close to a decade and I know how hard people in the creative industry work and how big their accomplishments have gotten over the years, but this is not out there for the mass to see and learn from. Glam Report TV was created to fill that gap, to get their success and inspiring stories exposed; to educate and inspire everyone. 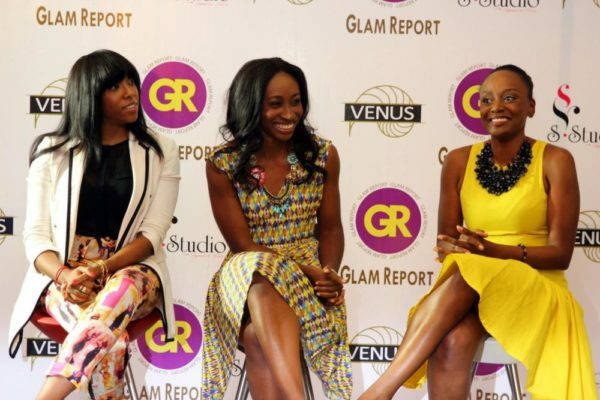 BN: Is Glam Report TV solely targeted at a female audience? BB: Of course not! Beauty, Lifestyle and Fashion is not gender discriminating. All over the world, men as much as women are interested in looking and feeling good. At Glam Report TV we consider our male audience as important as the female audience and we’ve created content that caters to men. We have segments that will educate men on the latest trends and how to improve their lifestyle. The show also showcases well-accomplished men in the beauty, fashion and lifestyle industry, so we hope that men will be watching and equally getting inspired! 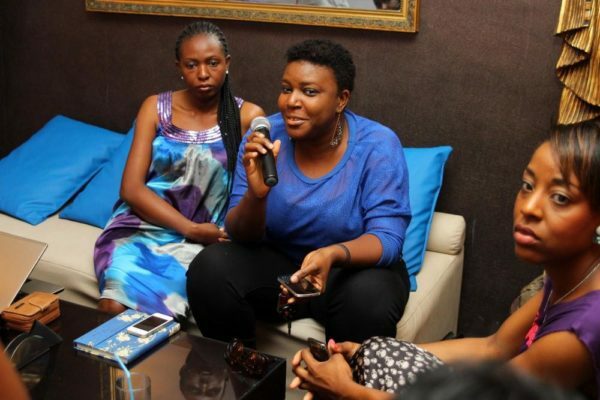 BN: Why did you pick Michelle Dede, Didi Ocheja and Fade Ogunro as the presenters of the show? 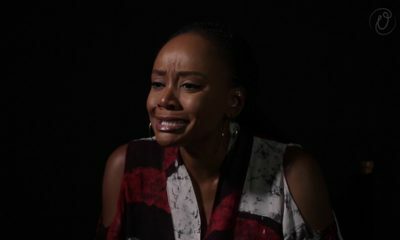 BB: Michelle, Didi and Fade are beautiful, smart and stylish women and I believe they have the charisma and engaging personality to truly connect with the show’s audience. 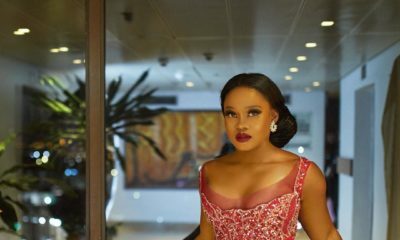 BN: As a pioneer stylist in the Nigerian Fashion Industry, there are high style expectations for the presenters, would viewers be left pleased? BB: I hold the belief that style should be personal and at the same time, comfortable. Luckily, our three presenters are stylish in their own right. Working with the show’s stylist, Ebun, we’ve tried to create looks based on each presenter’s personality and body shape. Style will forever be subjective, but I hope their style fosters engagement with viewers. 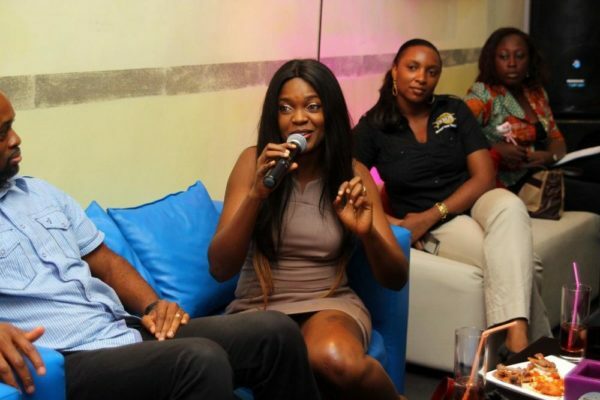 BN: What should viewers expect fom Glam Report TV? BB: Viewers should expect fantastic production, great content that is entertaining, educative and inspiring! 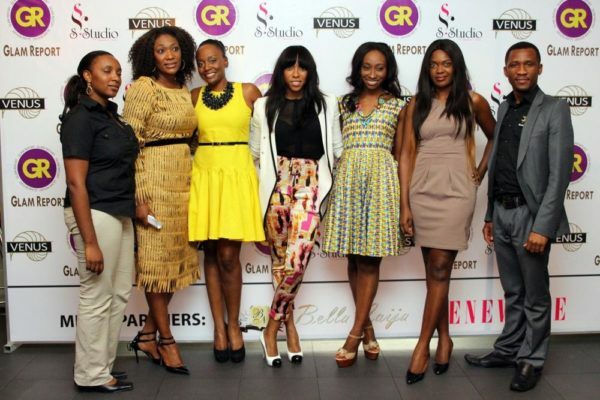 Bola Balogun-Creator & Producer of Glam Report TV with the show’s presenters; Michelle Dede, Fade Ogunro, Didi Ocheja and Actress and Face of Venus, Omoni Oboli and the Venus team. Glam Networks is a television content development and production company committed to creating innovative television programmes that focus on fashion, beauty and lifestyle for African and International markets. 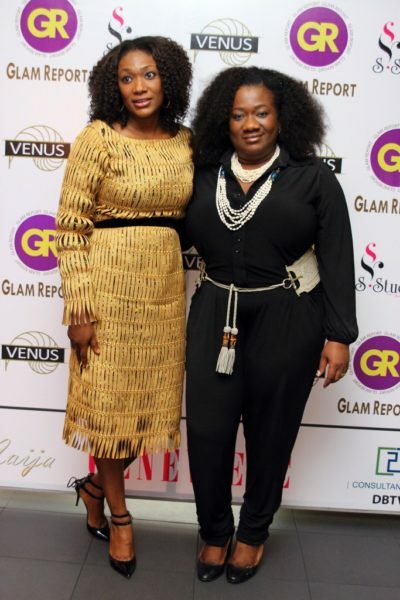 Glam Networks was established in 2009 by Bola Balogun – Nigeria’s pioneering fashion stylist and foremost fashion consultant. 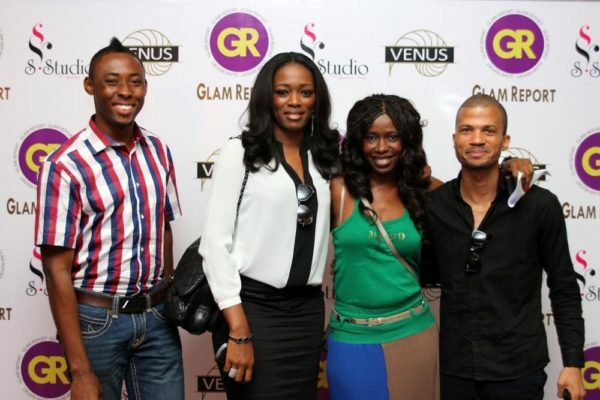 Glam Network’s television production credits include: “Miss Nigeria Reality Show” with Nike Oshinowo-Soleye, “Austrian Lace” Documentary, “I See Lagos” Television Campaign with Governor Fashola, “Oprah Winfrey Show – Beauty in Africa” with Uche Eze of Bella Naija, “MTN Lagos Fashion and Design Week Audition Special”, and “Venus Glam Time With Omoni Oboli”. fade ogunro’s outfit combo is giving me so much life! People take fashion and clothes waayyyy to seriously…. duhh!!! if they didnt would people get good jobs?? wear bathroom slippers and go for and interview now. THIS IS A FANTASTIC initiative!! can’t wait for it! LOVE, LOVE, LOOOOVEEE Bola Balogun’s HAIR!! I’m so glad to see this. I have very high hopes and expectations from these ladies. I wish y’all the very best. Oh omoni get rid of that hair!!!!!!!!!!!!!! makes ur head look big.Your dress looks good. 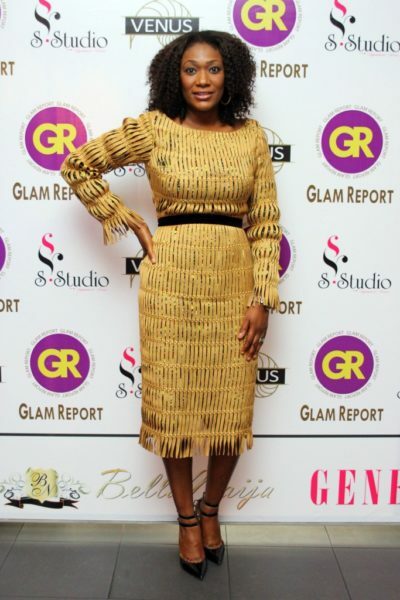 Omoni Oboli- her hair is a problem. im loving Dr Ebele Ugochukwu’s look,big and fabulous……knows what suits her.Fade those trousers are out of this world……. Wao. Omoni. I luv ya.